I am so excited about this. 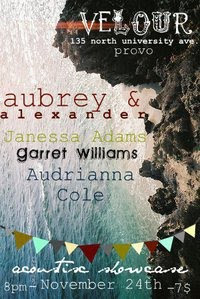 Aubrey is playing her first live show this Wednesday in Provo. She has such an amazing voice. I have missed hearing her sing since she moved out on her own. I can't wait..
Jonathan got an IPad from his boss and I have really enjoyed having it. What I have enjoyed most is an application called IBook. It allows me to have so many books at the touch of my fingertips. Some of my favorite books are free! The one I am reading again is called As a man Thinketh by James Allen. I think this is on my list of one of my favorites. It's full of so much thought provoking material for such a small book. I would highly recommend it.